A lot of you have asked for another update, so this is what I can say now. As for Issue #206, I’m still working on it! I really miss Harry P. The work he did was incredible. I know this issue will show how bad I really am at this whole graphic design stuff, but I have been copying, I mean creatively borrowing, his old layouts/styles/etc. I have also been reading a ton of design books, something I should have done back in 1995 when I started in all of this publishing stuff. Back then, I would see layouts I liked, in “real” magazines, and adapt them to Plastic Fanatic, and then later in Model Cars. Due to the increased cost of printing and postage, we have had to increase our subscription rates. The new rates will be in effect from January 2019 forward. For one year, it’s $30 for six issues, and $50 for two years (12 issues). Issue #205: Off to the printer! Issue #204 was mailed the week of August 21, 2017. Yes, it’s late. With the passing of Harry, we lost not only a friend, but he was the one putting the mag together while I have been “down.” We lost a lot of files, and we had to do a lot of last-minute tweaks to get this issue out. Thanks for your patience. It seems that I didn’t make the mailing labels as easy to read as they should be. EXP ISSUE: # (with your issue number). Of course, this didn’t happen, and I’m getting five-ten emails a day on this. 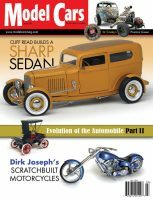 Saying goodbye to a friend… On Monday, April 3, 2017, our friend, ohana, and the guy who made Model Cars Magazine look so good has left us. Harry Pristovnik passed away surrounded by his family in Chicago last night. You will be missed my friend! We finally have new T-Shirts available! Check out the order form today! First off, no, we are not shutting down Model Cars Magazine. Yes, it probably would be a lot easier, less headaches, and the smarter thing to do, but we don’t quit. 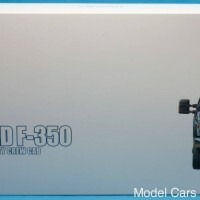 What we have decided is to restructure and overhaul the printing/publication schedule for Model Cars. Since 2001, we have printed nine issues a year. We had started off the first two years doing only six issues, but the magazine took off, and we went up to nine issues a year. With Golden Bell Press in Denver shutting down in December 2015, the magazine was dumped in our laps, lock, stock, and barrel. 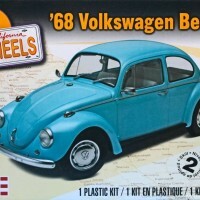 There were over 2,400 subscribers, about 1,900 dealers/hobby shop copies, and at that time, around 500 copies sent for distribution through major newsstands/bookstores with a distributor (Ingram). So with a print run of 5,000 copies, it looked like it would be something we could do. About a week after the turnover, Ingram increased their order from 500 copies, to 1,800 copies, literally overnight. This would be great for the circulation/numbers for the magazine, but there was of course increased costs involved. So from a normal print run of 5,000 copies, we were now at 6,500 copies. UPDATE: We will no longer be sending out replacement copies for any damaged magazines. Why would we say or do this? With the printing done before by GBP, they did not poly-bag the magazines, and as they say, they took their chances on the damages that may, or may not occur, from the friendly folks at the post office. We have gone one step further, and have invested, or rather paid for, poly-bagging of the magazines, so that they will hopefully arrive in pristine condition in your mailbox. Also, if our mailing list shows that your magazine was sent, well, it was sent. We cannot afford to send out replacement copies due to them not showing up in your mailbox. When we send them, we send them. We have no control over them once they are shipped. Yes, once in a very blue moon something happens, and we will do our best to remedy that, but we can’t afford to send out replacements. We are not pinching pennies. We don’t have any pennies to pinch. Either you understand this, and support us, or you don’t. Sorry to sound so negative, but we are doing are best to get the magazine out there, but it’s still a one-man-shop in the admin side of everything, and that’s really not even half-a-man!!!! Model Cars Magazine is the most popular model car magazine and web site in the world. Our Likes Don’t Lie! We are now accepting online subscription payments through PayPal! Click on the Subscribe link above. 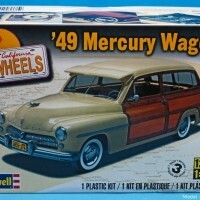 We are working on getting more of the back issues of Model Cars available on the Magzter site. It will take a while, but it will get done. We have a lot of requests for digital copies, and we are doing are best to get caught up.